Throughout the summer, the Quadrant Galleries on Level 1 will feature two exhibitions drawn from the Contemporary art collection: Soft Focus and Body Ego. Four of the artists included in these installations call the DFW area home, and each Saturday in July at 3:00 p.m. one of the artists will give a free talk about the work she has on view. Last week Denton-based artist Annette Lawrence joined us to speak about her fascinating Free Paper series and how she uses drawing, collecting, and data to create objects that measure the passage of time. Hunter is a Dallas-based photographer and Professor Emerita of Art at Southern Methodist University. In 2016 she was the honoree of the Dallas Art Fair. Aside from the DMA’s collection, Hunter’s work is included in the permanent collections of the Art Institute of Chicago, High Museum of Art, Corcoran Museum of Art, Museum of Fine Arts, Houston, Amon Carter Museum of American Art, Yale University Art Museum, University of New Mexico Museum, Wesleyan University Art Museum, Rhode Island School of Design Art Museum, Creative Photography Laboratory of Massachusetts Institute of Technology, Louisiana Art and Science Center, and Dallas Area Rapid Transit. 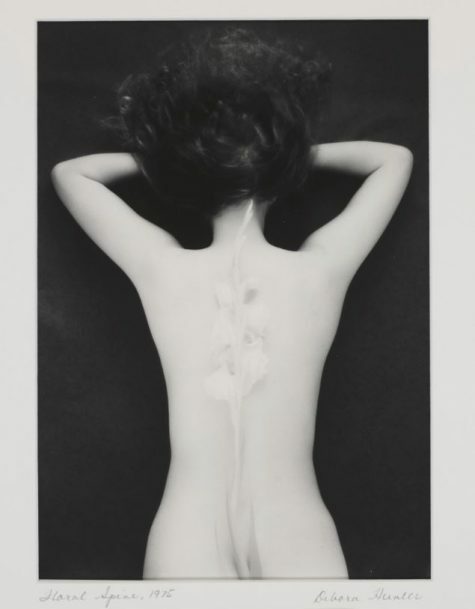 Learn more about Hunter’s photograph Floral Spine in the online collection. If you could take one work of art from the DMA home, what would it be? 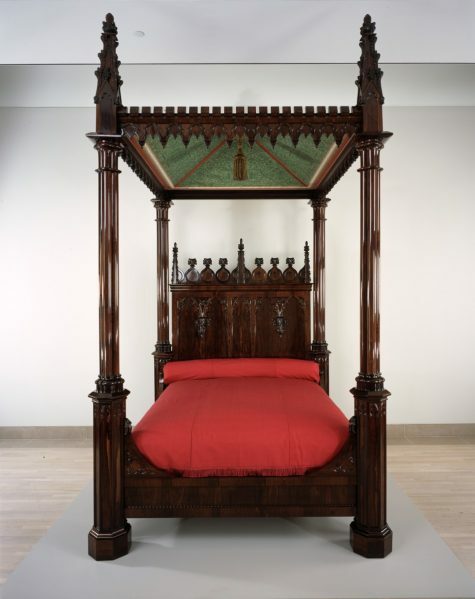 What fun to sleep in the Gothic revival bedstead from Rosedown Plantation. What was the first subject you loved to photograph? The backs of people gazing out to sea. If you could have coffee with a photographer from the past, who would it be? Julia Margaret Cameron (1815-1879)—since she is English she would probably want tea. Retiring! (only joking). Actually, working with young people as they discover their interests and talents. Listen carefully to your inner voice and then work really hard. “Emerita,” a retrospective exhibition of forty years of my work at SMU’s Pollock Gallery opening September 7, 2018. Cake, a very fun cookbook of cake recipes with stories and illustrations by Maira Kalman. If you hadn’t become an artist, what career would you have chosen? Where do you feel inspired around Dallas? The weird Valley View Mall and the Santa Fe Trestle Trail, for different reasons. Ridgway is a Dallas-based printmaker and sculptor working primarily in bronze. Her work has been the subject of solo exhibitions around the country, most recently at Talley Dunn Gallery in Dallas, as well as group exhibitions at the Grace Museum and the Amon Carter Museum of American Art this year. Aside from the DMA’s collection, Ridgway’s work is in the permanent collections of the El Paso Museum of Art, Modern Art Museum of Fort Worth, Museum of Fine Arts, Houston, Phillips Collection, Weisman Collection, and AMOA Arthouse. Learn more about Ridgway’s sculpture Harvest Line in the online collection. 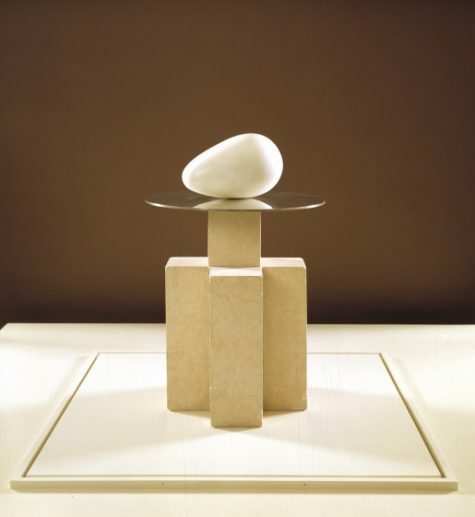 If I could take only one piece, it would be Beginning of the World by Constantin Brancusi. What is your favorite bit of nature around Dallas? My favorite bit of nature is White Rock Lake. Uses of Sorrow by Mary Oliver is my favorite poem at the moment. There is a lot of advice you can give to a young artist, but the most valuable lesson is hard work and to never give up. Having a bigger studio space to create more work. What was the last thing you looked up on Wikipedia? I don’t use Wikipedia, but I do use my smartphone to look up things. Recently, I looked up images by John Singer Sargent, because of a book I am now reading. I started drawing as a child, but at the age of 13 I made the decision to become an artist. I listen to the classical station. Bagley is a Dallas-based sculptor and installation artist. Among numerous public art projects, and both Texas and national exhibitions, her work is included in the permanent collections of American Airlines, the National Museum of Women in the Arts, the El Paso Museum of Art, Pepsi-Co, UT Arlington, and Southwestern Bell. 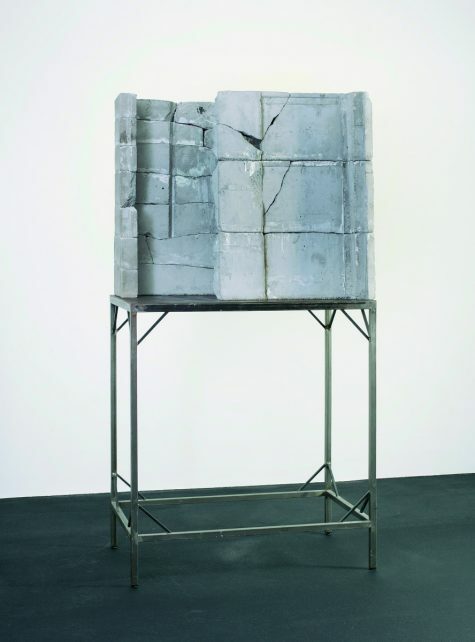 Bagley is the recipient of multiple awards, including the Moss Chumley Award in 2011, the 10th Kajima Sculpture Exhibition in Tokyo in 2008, and the Jurors Award for the Texas Biennial in 2007. 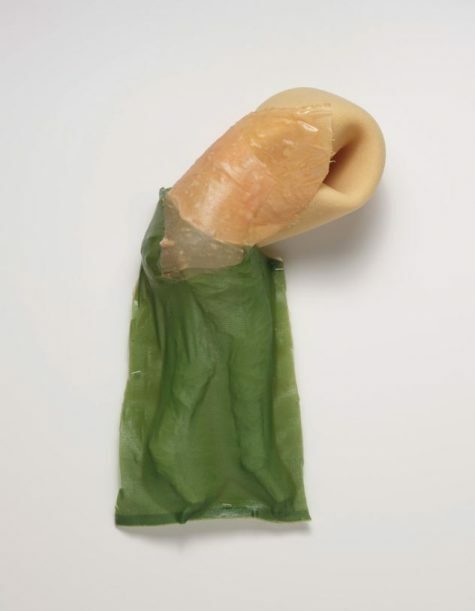 Learn more about Bagley’s sculpture Tiny Dancer in the online collection. Isa Genzken’s sculpture Door (Tür). Becoming an artist is not a career choice. You should only do it if you have to and won’t be happy with any other choice. Going to Maine this summer for Barry Whistler’s birthday party. Buddha Mind in Contemporary Art, edited by Jacquelynn Baas and Mary Jane Jacob. See my answer to question #4. No other choice would have made me happy. What is a daily ritual that you have? Discussing the world with Tom Orr while having coffee every morning. What material are you interested in working with next? What questions do you have for the artists? Drop by each Saturday to spend time with them in the galleries and learn about their creative process firsthand. Jessie Carrillo is Manager of Adult Programs at the Dallas Museum of Art. Blind-folded touch-tour attendees experience Jurgen Bey’s “Tree-Trunk Bench” (1999) in our Sculpture Garden. WARNING: Do not attempt a touch tour on your own–our trusty Gallery Attendants will stop you! However, on rare occasions (with a staff member present and the Conservation Department’s approval), you may be given permission to touch the art! One such opportunity occurred this past Monday, June 15, when Amanda led a touch tour in our Sculpture Garden with painter John Bramblitt, who became blind in his late twenties. This tour was in tandem with the Arts & Letters Live program featuring Rebecca Alexander, author of Not Fade Away: A Memoir of Senses Lost and Found. Rebecca was diagnosed with Usher Syndrome Type III when she was 19 years old. This rare genetic disorder is causing her to slowly lose her vision and hearing. Hearing both John and Rebecca’s inspiring stories, we thought it would be a great experience for a few of our visitors to learn what it is like to experience art with more than just their eyes. Amanda led a conversation focused on two different works of art and suggested techniques for exploring them with touch. We got to explore with our fingers Jurgen Bey’s Tree-Trunk Bench and Mark Handforth’s Dallas Snake. Unfortunately, this is not something we can do all of the time. So don’t get any ideas!